Example of Holiday Card. Courtesy of GISH. Beginning today and continuing until December 26, GISH is offering “the world’s most expensive holiday card email”! Buy a card, and GISH will include a 2019 registration for free! 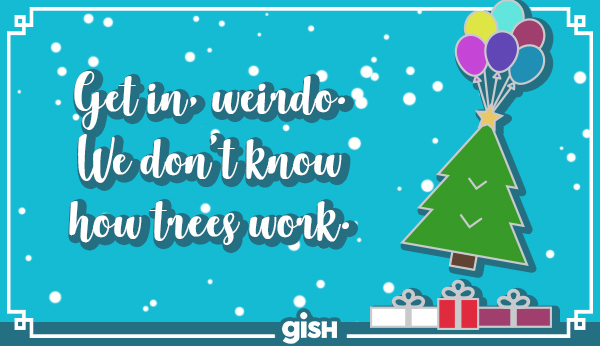 If you send a holiday card and GISH Hunt to a friend, a second Gisholarship will be given to someone in need. If you donate to the Gisholarship Fund, GISH will match you donation with two Gisholarships for every one purchased. Ten winners will be chosen from those who donate or send a card to win a Possubull plushie and pin! Gisholarships will be granted on December 26. You can send your cards here.